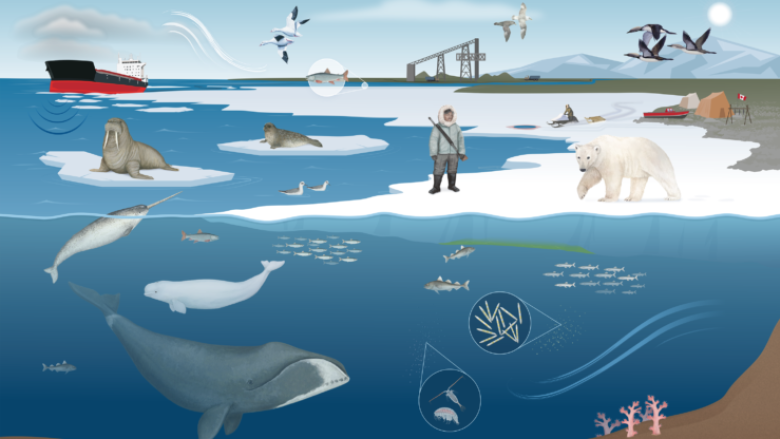 Three environmental organizations have released a free atlas featuring a comprehensive overview of the Arctic's changing environment, along with the animals and people that live there. There's a new atlas on the market and it isn't like the ones you may have cracked open in grade school. It's filled with colourful photos and maps of every nook and cranny of the Arctic Ocean. The 122-page publication includes over 70 colourful maps depicting things like beluga migration routes, sea ice freeze-up dates, and Inuit travel routes from Ivujivik, Que. to Qikiqtarjuaq, Nunavut. "I hope it provokes [students'] imagination to want to know more about the North, but want to know more in a way that can be useful," said Louie Porta, vice president of operations for Oceans North. Porta said the publication is unique as it brings together peer-reviewed scientific information with Inuit expertise and traditional knowledge. That includes traditional place names, trails and the political geography of the North. "We tried to make sure that it was held up as an equal pillar of knowing," Porta said, noting the atlas isn't an authoritative document when it comes to all existing Indigenous knowledge. "You can't really have a clear understanding of what we know about our Arctic if it doesn't come with a clear awareness that this is a well-lived and lived-in space and has been for millennia." With seven chapters on topics ranging from oceanography to marine mammals, that Atlas was written and reviewed by experts in the field, said Porta. Inuit and traditional knowledge was also gathered and the whole atlas was reviewed by Inuit Tapiriit Kanatami. Climate change and environment management is a theme that runs throughout the atlas. "We wanted to make sure that the active development footprint was captured because the Arctic is a vast space and the people who live there also need a way of making a living," Porta said. 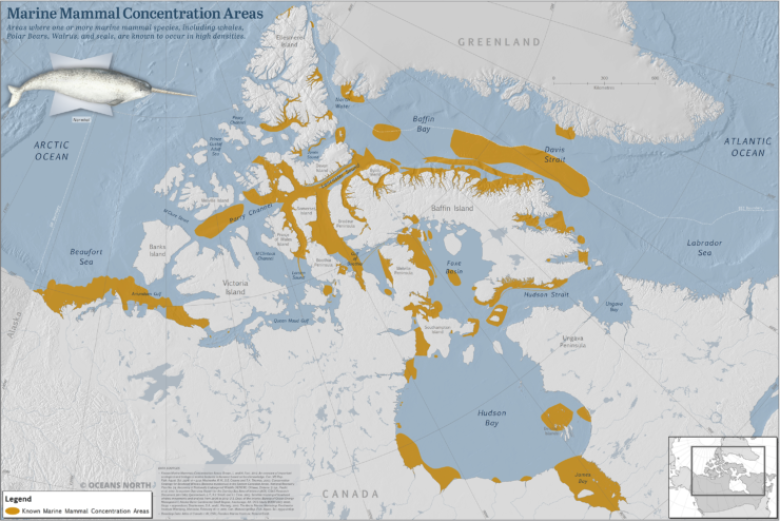 The atlas includes information on changes in the Arctic, including the loss of summer sea ice, and industrial and commercial activities. The atlas is available as a free PDF online and those without internet access can get a copy mailed to them. Porta described it as an "old school, new school project". He said it is available in English, French and Inuktitut and will be distributed to communities, schools and leaders. "You can't make good decisions without good information and everybody needs good information," said Porta. "It's an encyclopedia written by experts for coffee tables for [hunters and trappers organization's] boardrooms so that it can be available when there's no bandwidth or at a hunting cabin."